First introduced in 2004, the Buick Rainier is a mid-sized SUV offered by the luxury brand Buick. This vehicle reintroduces a truck-styled body to the Buick brand after decades of primarily manufacturing sedans. In 2007, Buick added additional stability features to the vehicle, attempting to reduce the risk of rollover accidents in this relatively large vehicle. Also, the option of purchasing an all-wheel drive model was made available in 2007. However, this would be the last year the vehicle was produced. After 2007, the Rainier was canceled and replaced with the Buick Enclave. While this vehicle offered a variety of features to entice consumers, it did not solve many of the very serious safety concerns that frequently plague SUVs. In particular, the Rainier still maintained the common high center of gravity that many other SUVs feature. Without a wide enough wheelbase to counteract the heightening of the center of gravity, any sharp turns can cause the vehicle to roll. As explained, a high center of gravity is a very serious rollover risk that the Rainier has. However, this is not the only problem with the Rainier. Until the 2007 update, which proved to be the end of the Rainier as well, this vehicle failed to provide GM's best stability control features as a standard part of each Rainier package. Without this improved stability control system, the vehicle could be more difficult to keep safely on the road and under the driver's control in event of an emergency. In some cases, this loss of control could mean that a vehicle would begin to turn or flip, eventually causing a rollover. 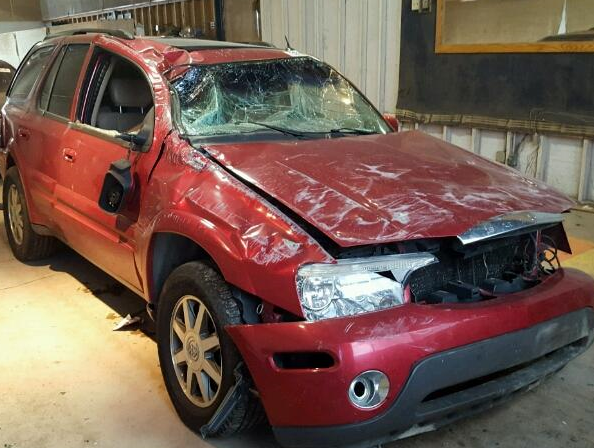 Given the weight of this vehicle, rollover accidents can be particularly dangerous, the roof may cave in due to support beams being unable to support the weight of the rest of the vehicle when the vehicle rolls. These cave-ins, or roof crushes, can result in severe injuries to the motorists trapped inside. According to the National Highway Traffic Safety Administration, the Buick Rainier scored a three-of-five star rating in rollover safety for the two-wheel drive model, while the four-wheel drive model scored four-of-five stars. While this four-wheel model shows considerable improvement, both models illustrate a considerable capability for the Rainier's high center of gravity to contribute to a rollover accident and cause serious injuries for those motorists inside the vehicle. If your injuries or the injuries of someone you love were caused by a rollover accident in a Buick Rainier, there may be legal options available to fight for financial compensation. This compensation may be able to provide coverage for medical bills, out-of-pocket expenses, and even wages lost during recovery. To discuss your full range of legal options after a Buick Rainier rollover accident with an experienced and knowledgeable legal advisor, contact the Willis Law Firm today by calling 800-883-9858.